Sophie Bunny’s ears are done. I may do a few more embelishments with the brown yarn, but I don’t want to over do it. I also want to add a puffy tail at some point. I need to go out and get a pompom maker. 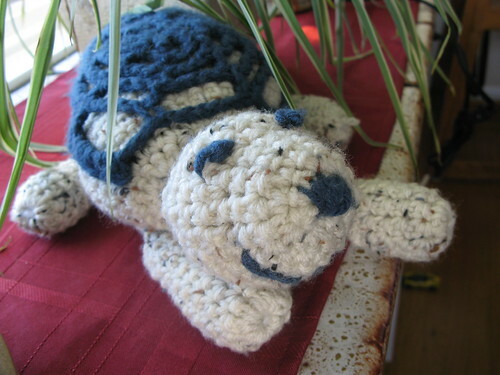 Here’s a link to the original pattern by Ysolda Teage. 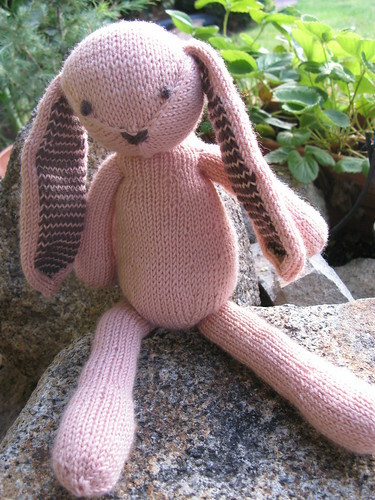 I found this Sophie Bunny that another knitter did and it is gorgeous, check it out! She sewed a really cute flowered pattern in the ears and a patch on the bum. I was going to try to sew cloth in the ears too, but I didn’t have enough and the colors were a little off, but I love how it turned out in her Sophie Bunny. I may do a heart on the front similar to hers. 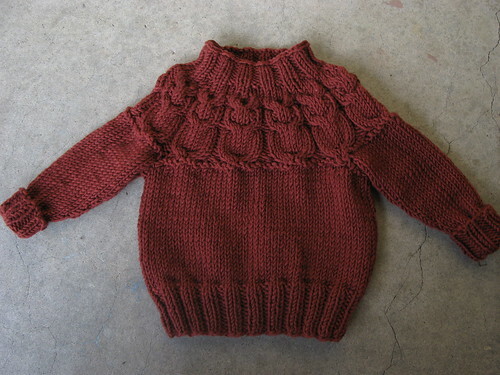 In other news I fisnished knitting the Owlet sweater by Kate Davies. Can you see the owls in the yoke? I have to block it and find the perfect buttons for eyes. But here’s a preview before the final product is finished. As I was binding off the neckline, I realized that I forgot to bind off in the ribbed pattern, oops, oh well it doesn’t bother me. It was such a fun and quick knit. I can’t wait to see how it blocks up and how the buttons finish it off. I made it in fall colors for little Sophia. It’s another neat pattern especially for her since owls are a symbol of wisdom and Sophia’s name means wisdom. 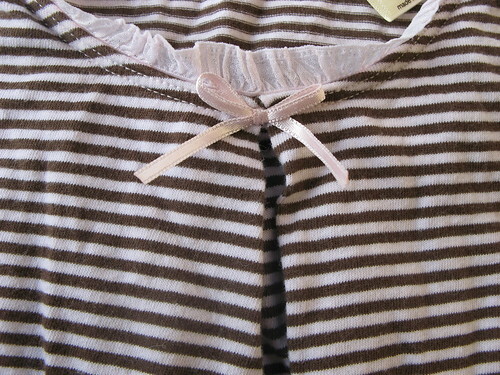 I hope she likes it and I hope she get big enough to wear it before the weather warms up!! I’m glad he loves it. I’m not sure why he likes this one over the mommy-baby monster or the Elijah elephant, but hey – at least he doesn’t want to give this one away! Maybe he senses the love that went into it when he was still in the womb…. or maybe he just likes turtles. On another note. I am making some progress on the Sophie bunny, but have slowed down a bit because I was trying to do some tricky striping with the ears which I’m not really liking so much. And I did a swatch for the owlet sweater and my gauge is off, so I’m swatching some more. I’m tired and achey all the time now due to being 30 weeks pregnant, so I’m not in to doing much of anything these days. Thank goodness for knit nights to keep me going!! Oh – and Twist Collective Fall 2010 Edition is out already! I LOVE that online magazine. Great articles and beautiful patterns. It is my all time favorite knitting media.